"Symmetrical book stacking. Just like the Philadelphia mass turbulence of 1947" - Ghostbusters. 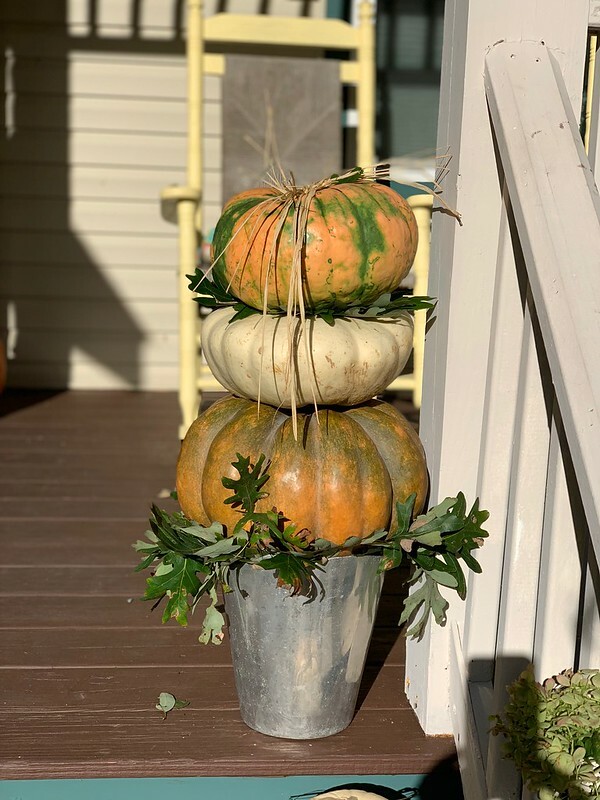 Just wanted to share how I decorated for the fall in three phases, stacking pumpkins on top of an aluminum champagne bucket and filling in the spaces with oak leaves and topping it all off with a burlap ribbon & raffia bows. 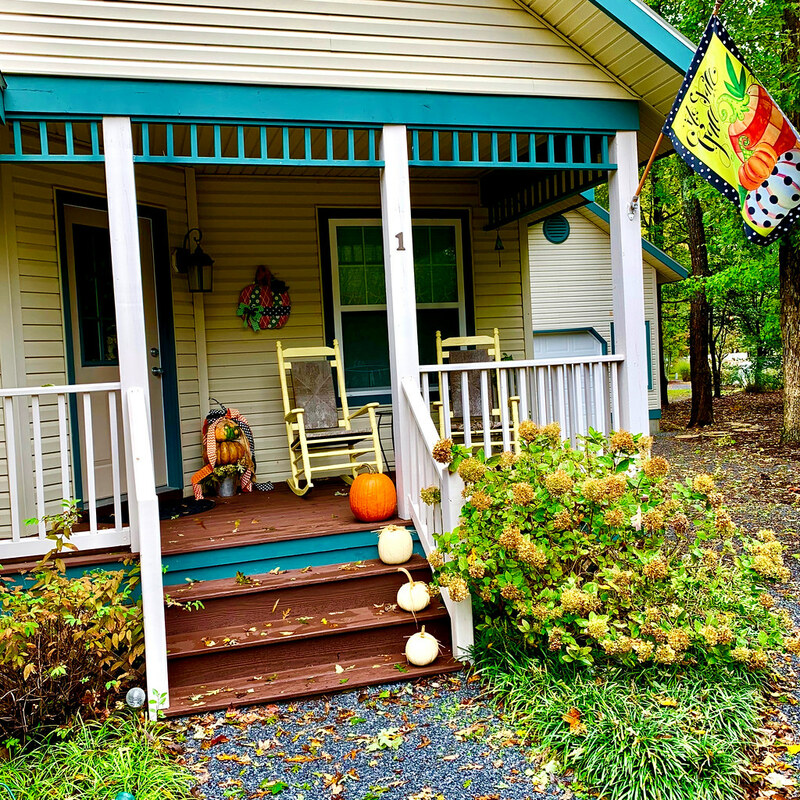 I first just got the one orange and three white pumpkins for the front steps from a farm stand in Bridgeville, DE. 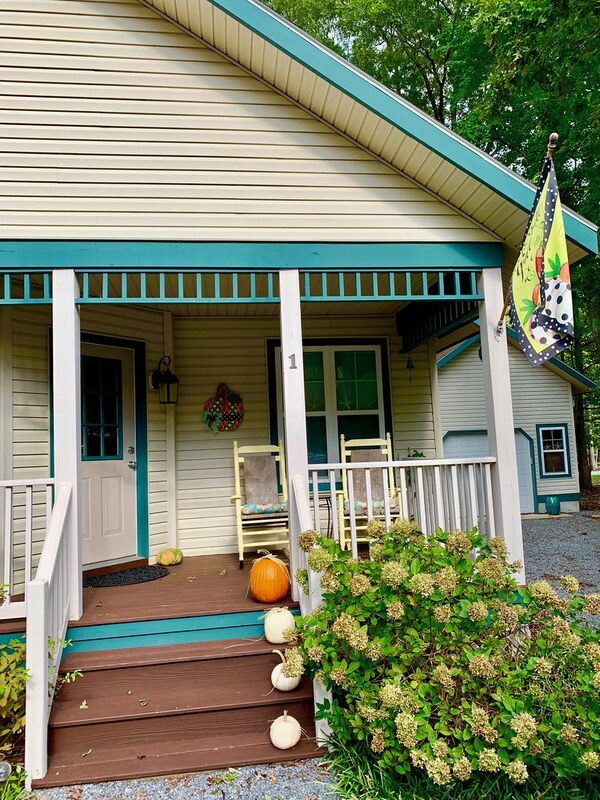 They contrast so nicely against the porch & trim paint. I decorated them with raffia bows. 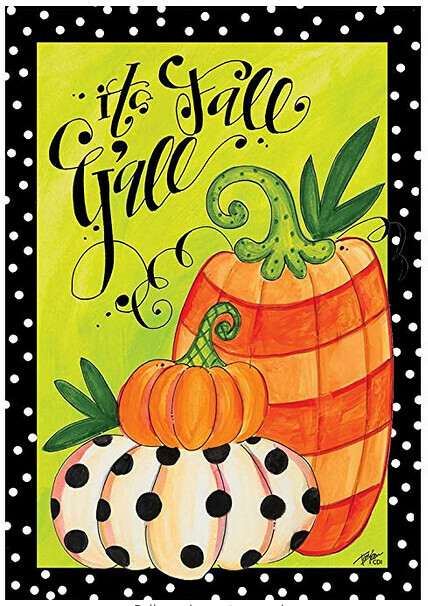 I already had the Evergreen wall hanging and matching "It's Fall Ya'll!" flag. Both feature black and white polka dots and lime green stripes. Then I did a bad thing. 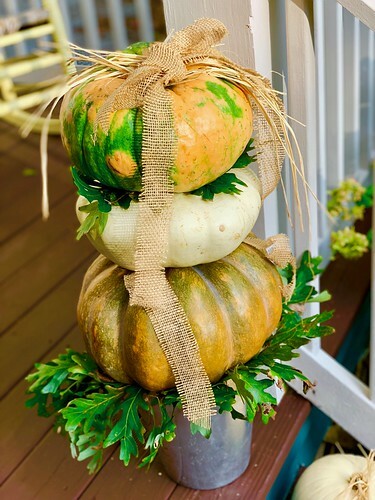 I headed over to Pinterest and search for pumpkin stacking. These I did in early October. 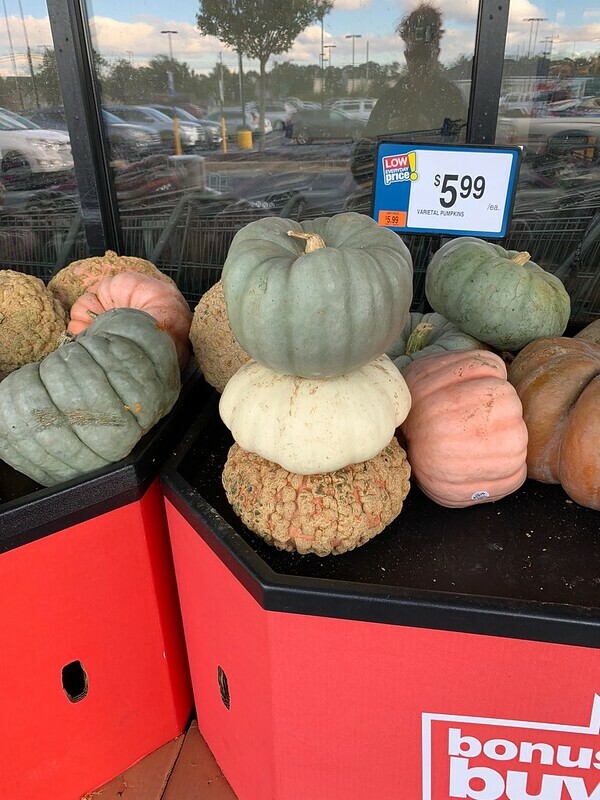 Picking the pumpkins up at my local Giant food grocery store. At the Giant, I was stacking pumpkins, sanding back, tilting my head first this way and then that and then re-shuffling for like thirty minutes. I musta looked nuts to anyone watching the CCTV feeds! 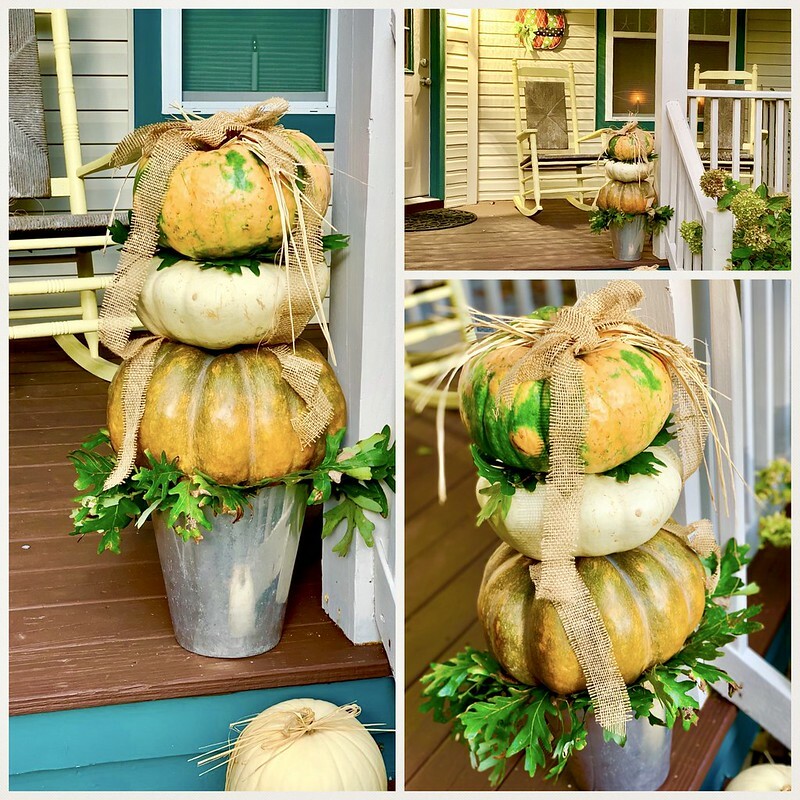 I finally found three pumpkins and squashes that were appealing and eagerly went back and started stacking and added a burlap ribbon which looked nice with the raffia bows. A couple weeks later I went a little overboard. On Amazon I found matching wired ribbon to my Evergreen wall hanging. I also pulled out the now faded oak leaves and replaced them with dried hydrangea blooms snipped from the nearby bush. The benefit of all this, is that I didn't have to then change this display through Halloween and then up to Thanksgiving. 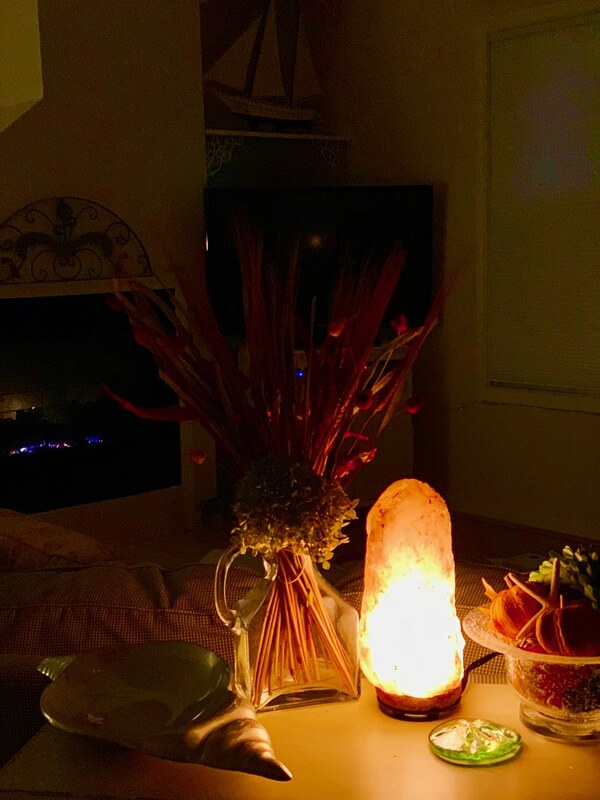 Inside the house, I had a little display with pine cones, starfish, and dried wheat. I'll be honest, one of the squashes or gourds got mushy around the 10th of November and I just put it into my compost pile. I tried with a couple different stack positions, first on the top of the step and then right beside the door under cover. I really like fresh and natural and I made sure to shop at local stands or stores and what was handy in the yard. I also positioned a solar timed spotlight on the stack for night time splendor! Still, it looked great up until I decorated for Christmas........on Thanksgiving day! Maybe more about that next! What do you think? 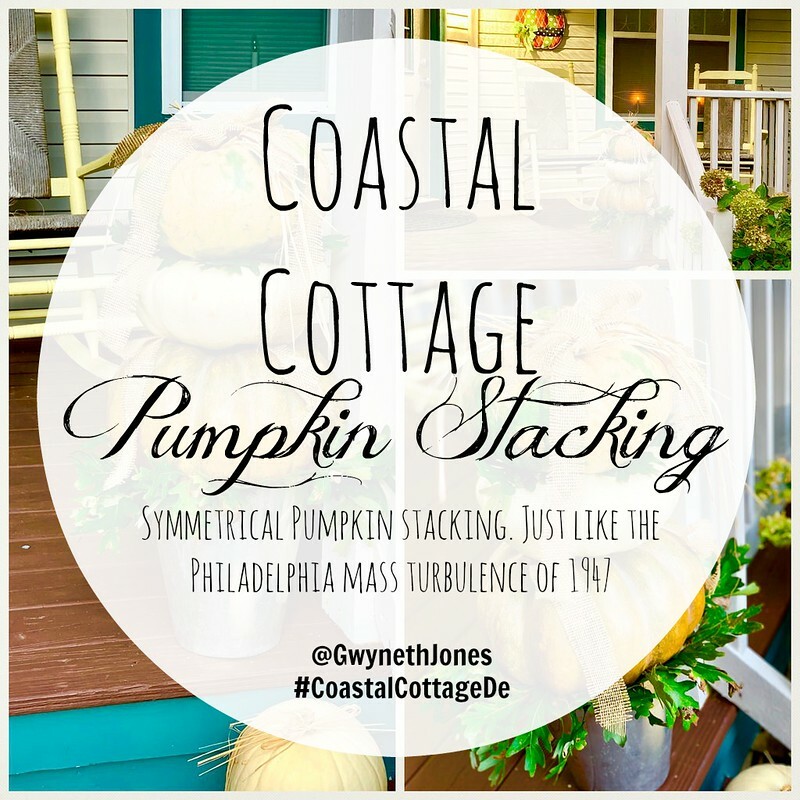 Do you like stacking pumpkins? 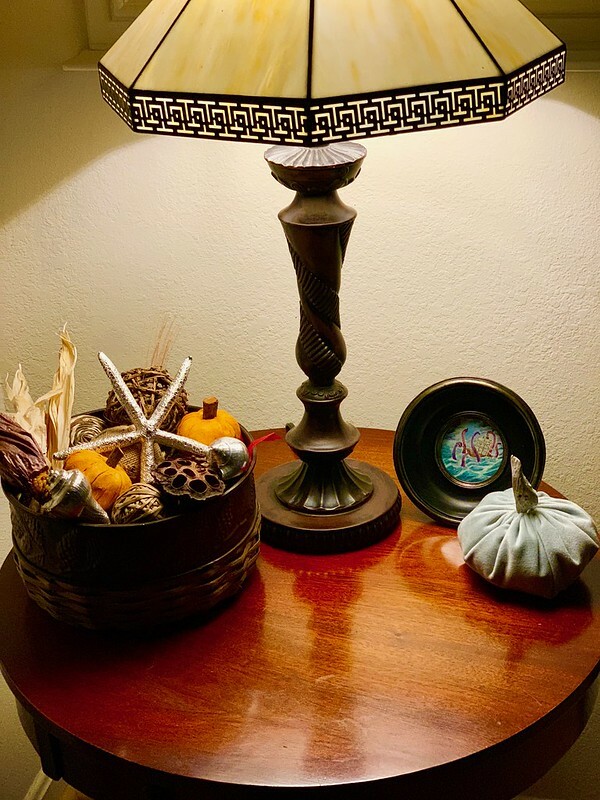 What is your favorite fall decoration? How much do you spend every year on this? I went a little wacky with all these pumpkins this year! What do you go wacky for? 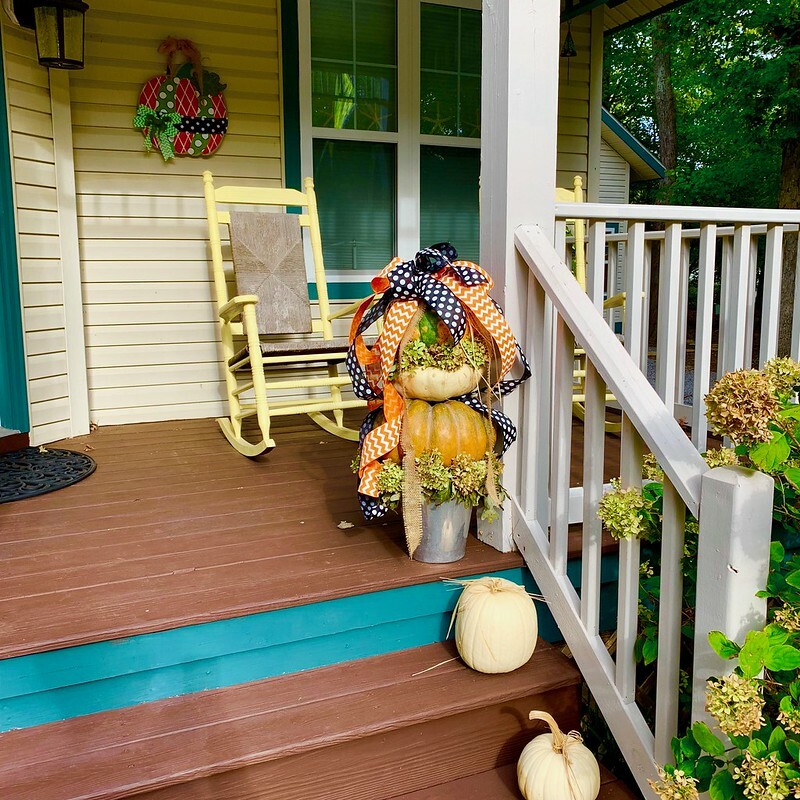 I invite you to comment for all things pumpkins, cottages, beach houses, and decorating!